Nintendo has unveiled its price and release date for Switch console. Nintendo Switch is launching on March 3rd with the price tag of $299.99. Additionally, the console will be region-lock free for software, so you can play games from any region no matter where you buy your console and will offer a paid online subscription service. The Switch console will come with the collection of minigames called 1-2 Switch as well as the Legend of Zelda: Breath of the Wild. 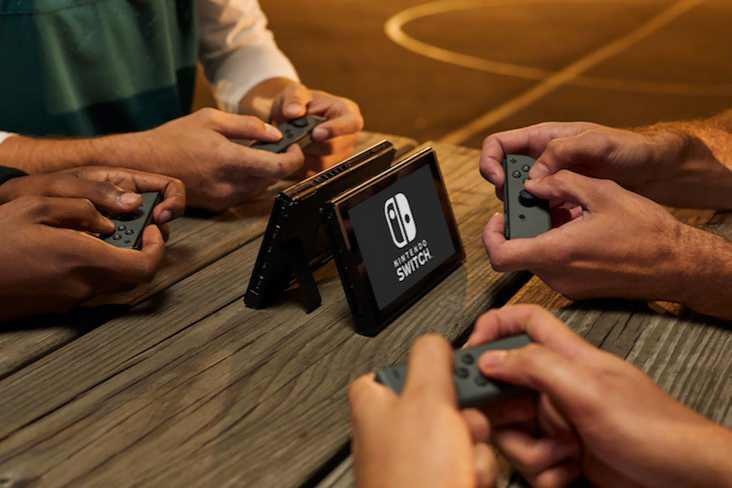 The device also won’t feature region-locking for software, so you can play games from any region no matter where you buy your console, and will offer a paid online subscription service. The Nintendo Switch console is housed in a tablet, which can connect to a television through a dock. According to the company, the tablet has a battery life ranging from 2.5 to 6 hours depending on the game. The company estimates that you can play Breath of the Wild for around three hours. The Nintendo Switch features a 6.2-inch HD (1280x720px) display with multitouch capabilities. There is also a detachable controllers called Joy-Cons that can either snap onto the tablet or be used on their own. 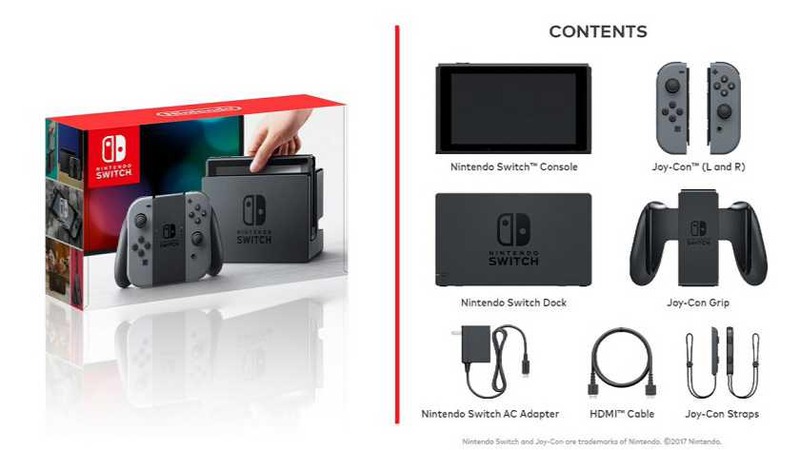 When you buy the Switch, you’ll get the console itself, including the left and right Joy-Con controllers, the Joy-Con Grip, additional Joy-Con straps, and the TV docking station, as well as the power adapter and a HDMI cable.